Before I jump in with the eye candy I have something really exciting to share! I opened my own Etsy shop! You were all so sweet when I asked you what you thought about me taking the plunge and selling my letter art. It really gave me the confidence to do it! The shop is still in the very early stages, I have more to add and some better photos to take. But I'm really excited to have started! It would be fantastic if you have a minute to go over and check it out. Maybe tell me what you think? I love this clever idea from Martha Stewart. My kids would love this, and it may even encourage them to hang their coats! Oh.my.goodness! 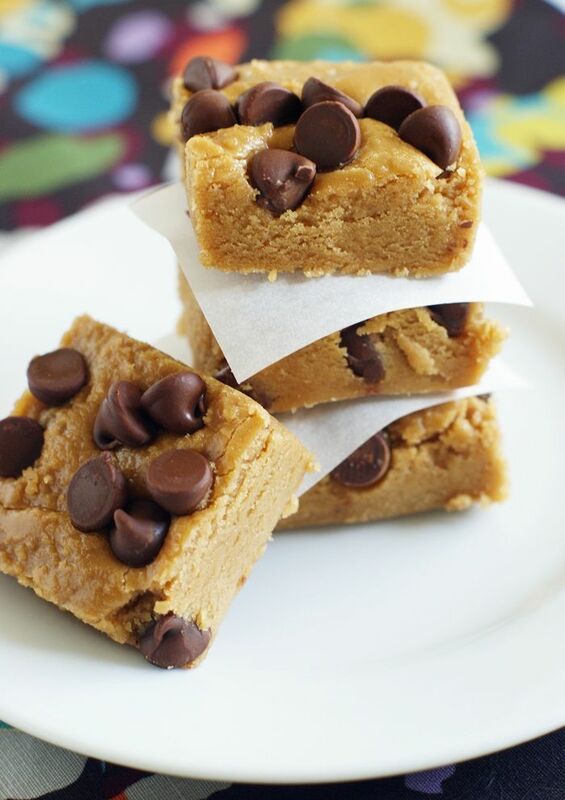 This is chocolate chip cookie dough fudge. I know. Wow. I need to make this! Though I may wait a week as I just made a double layered chocolate fudge cake for desert with a white chocolate and oreo cheesecake filling (and chocolate fudge sauce). Yes, I couldn't move for a good two hours after a slice of that! Even little Ethan came down from the table holding his protruding belly and moaning. So it's amazing that anything sweet is making it onto my list, but these are too good not to share with you! (The link I mean, I would totally keep a batch to myself if I made some.) It's over at Bake at 350. I absolutely love this idea from Cosmo Cricket. Who would have thought you could make a cute package and wrapping for a treat or gift with one piece of scrapbook paper?! Awesome! I always hate when you want to send someone some food (like to get the baking out of your house before you eat it all when the kids go to bed...), but you either have to go paper plate and cling film or one of your tubs that you'll have to ask for back. What a perfect solution! Any other great ideas you've seen? Or that you've done? Anyone else recovering from serious gluttony? p.s. Even if I'm sick tonight, it was worth it. Thanks for the sweet comment..I'm a new follower! Congrats on opening your new etsy shop!! I love etsy!!!! Found you on Blissful and Domestic. These sweets look amazing!!! Anxious to look around your blog. Happy HUMP day!!!! I love those letter cards. That cookie pouch (is that what its called?) looks very creative. CONGRATS on opening your Etsy shop. Your letter art is beautiful! How exciting! That card idea is wonderful. I have those little letter stampers. Thanks for the idea. I'm glad I found you on Thirty Handmade Days. Congrats on the Etsy shop! I still haven't gotten the courage to open one up yet. Those cards are darling! Thanks for sharing at Thursday's Temptation.